On Friday, November 18th, Eternal updated to Patch v1.14. Alongside a multitude of card changes, Closed Beta accounts have been wiped and the game has entered Open Beta. This article attempts to break down what that means for the game, closed beta players, and new open beta players. 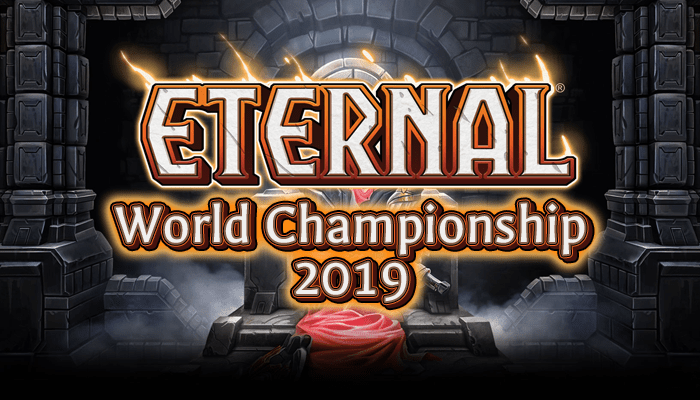 Eternal entered closed beta on April 20th, 2016, and entered open beta on November 18th, 2016. During these nearly 8 months of closed beta, players filled out full collections of cards, even premium collections! To level the playing field, every account has been reset entirely. Collections, ladder ranks, Gauntlet/draft progress, totems, avatar, emote preferences, even game settings have been reset to that of a fresh account. Everyone is starting from the same place. Direwolf Digital, the creators of Eternal, have stated that they do not intend to do another progression wipe in the future – everything you collect from now on is yours to keep! To reward their longtime closed beta players, everyone who had an account prior to the wipe has received a number of packs directly proportional to their progression prior to the wipe. These packs are already in your account and can be opened once you’ve completed the Fire portion of the Campaign. The Eternal Card Game, previously a standalone client, is now a Steam Early Access game under the name “Eternal Card Game”. The client must be redownloaded and launched through Steam, as the standalone client has been discontinued. Those that got into the Android or iPad client beta can continue to play Eternal using those clients, however invites to those clients have been discontinued. There are likely plans in place for a full mobile client, however at the moment the only way to play on desktop is through Steam. While this may dismay some of you, others will be glad to hear that Achievements and Trading Cards are available for the game. Those of you that are joining us for the first time, welcome! It’s great to have you aboard. Eternal is a fantastic game and I hope you end up enjoying it as much as I do. However, like any collection based game, it can be an intimidating for new players, so read on as I guide you through free ways to build your collection. If you’re a returning player, you may freely ignore this section. New players, don’t skip this! Eternal grants most of its rewards via chests. Bronze chests are the lowest level of chest, and contain a small amount of gold and common card. Silver chests contain more gold and an uncommon card. Gold chests contain a pack, as well as about half a pack’s worth of gold. Diamond chests are the highest level of chest, and contain two packs worth of gold, a pack, and a random premium card (usually a common or uncommon, but can be of any rarity). Each chest has a 10% chance to upgrade to a higher level of chest, and chests can upgrade multiple times. You can, and people have, have a bronze chest upgrade to diamond. Packs cost 1000 gold and contain 12 cards: 8 commons, 3 uncommons, and 1 rare or legendary card. Every card has an equal (small) chance of being premium. The rate of legendaries to rares is not known, but 1:10 or 1:12 is a reasonable estimate. Every pack you open also grants you 100 shiftstones, which are used in crafting. It is usually not recommended to spend your gold on packs, as packs can only be opened and are not the most efficient way to get new cards. In Eternal, cards are crafted from Shiftstones. Each rarity requires a different level of shiftstones to craft, and grants a different number of shiftstones when disenchanted. Common cards cost 50 shiftones to craft and give you only a single shiftstone when disenchanted. Uncommon cards cost 100 shiftones to craft and give you 10 shiftstones when disenchanted. Rare cards cost 800 shiftones to craft and give you 200 shiftstones when disenchanted. Legendary cards cost 3200 shiftones to craft and give you 800 shiftstones when disenchanted. It is strongly recommended that you do not disenchant any cards you do not have more than four copies of. To automatically disenchant all excess copies of cards you own, click the shiftstones button in the upper right corner next to the pack indicator. This button will glow when you can get more than 200 shiftstones from disenchanting extra cards. Premium cards have animated images (similar to Golden cards if you have a Heathstone background) but no different gameplay effect. You may only have 4 copies of a card in the deck regardless of how many copies are premium. Premium cards both cost more shiftstones to create and grant you more when broken down. I advise against crafting Premium cards while building your collection as they are very expensive. Common cards cost 800 shiftones to craft and give you 25 shiftstones when disenchanted. Uncommon cards cost 1600 shiftones to craft and give you 50 shiftstones when disenchanted. Rare cards cost 3200 shiftones to craft and give you 800 shiftstones when disenchanted. Legendary cards cost 9600 shiftones to craft and give you 3200 shiftstones when disenchanted. It is strongly recommended that you do not disenchant any cards you do not have more than four copies of. There is a fifth rarity rating, Promo. No promo cards are available at this time. Where to begin? It is strongly advised, especially for new players, that you start by completing the AI campaign. While you can do anything you choose after completing the Fire section of the campaign, completing the campaign will give you 5 starter decks for each of the factions as well as three silver chests for defeating the final boss, the Strangers. New players should note that the battles are not scripted and it is possible to lose while playing the campaign – the final battle is especially difficult! Once you’ve completed the fire section of the campaign, you’re given access to four modes: Gauntlet, Forge, Ranked and Draft. Gauntlet and Forge are played verses the computer, and Ranked and Draft are played verses other players. Gauntlet and Ranked are free to play, while Forge costs 2500 gold to start and Draft costs 5000 gold to start. However you start with a free Forge ticket and a free Draft ticket***ERROR: Further information has informed me that only players in the closed beta received the additional Forge and Gauntlet ticket. Apologies to anyone who was misled by this error. I highly recommend you begin with forge, picking cards that you want and building the best two color deck that you can. Once you’ve built your deck, battle against the AI until you lose twice, earning chests along the way. After you’ve completed your first forge, use the new cards to build a strong deck and enter Gauntlet! In Gauntlet, you will fight the Computer until you get 7 wins or 1 loss, again earning chests along the way. If you lose, no problem! You can simply start over after collecting the rewards you’ve earned. Winning 7 games in Gauntlet ranks you up to the next level and gives you a special Rank Up chest with all sorts of goodies inside! The first time you complete Gauntlet, you’ll also earn another free Forge ticket. Time for another Forge! After you’ve done Gauntlet and Forge a few times, the difficulty increases enough that its difficult to reliably clear. As such, its time to move on to the best way to expand your collection: Draft! Ranked is a really really bad way to grow your collection, granting you only two bronze chests and a silver chest for every 3 wins you get. In Draft, however, you get to pick 48 cards that you want from four “packs”. Use this opportunity to select cards you want for your deck, as well as every rare and legendary you see. In terms of actually building your draft deck, stick to two factions and try to choose high value cards. Unfortunately a huge number of cards have changed, so these can be difficult to determine and all the literature is out of date, but do your best. In Draft, you play your draft deck against other players draft decks until you get 7 wins or 3 losses. You start with two silver chests as rewards just for playing, and earn your way up to three diamond chests! Each day, you’ll receive a new quest. Compeleting these quests will earn you chests, and you can half up to 3 quests stored at a time. Additionally, each week you’ll receive a Theme Deck Quest along with a theme deck. These quests ask that you win 5 games with a deck of the same factions as the theme deck you receive, and reward you a gold chest! These theme decks really help you build your collection, and completing quests is key to fast progression. Keep in mind that most quests can be completed in any mode, but any quest that mentions “Verses” can only be completed in Ranked or Draft. Once you’ve done your first Draft, its up to you what you want to do next. Some players prefer to slowly grind their collections in the AI modes. Other jump right into Ranked to see how they do. Still other focus on Drafting. In the end, how you play the game is up to you! I started a few days ago, but I never got any Free Forge or Draft tickets, is that perk removed upon the launch or is that a bug?